ESPResSo is an extensible simulation package for research on soft matter. This versatile molecular dynamics program was originally developed for coarse-grained simulations of charged systems [H.J. Limbach et al., Comput. Phys. Commun. 174, 704 (2006)]. The scope of the software has since broadened considerably: ESPResSo can now be used to simulate systems with length scales spanning from the molecular to the colloidal. Examples include, self-propelled particles in active matter, membranes in biological systems, and the aggregation of soot particles in process engineering. ESPResSo also includes solvers for hydrodynamic and electrokinetic problems, both on the continuum and on the explicit particle level. Since our last description of version 3.1 [A. Arnold et al., Meshfree methods for partial di_erential equations VI, Lect. Notes Comput. Sci. Eng. 89, 1 (2013)], the software has undergone considerable restructuring. The biggest change is the replacement of the Tcl scripting interface with a much more powerful Python interface. In addition, many new simulation methods have been implemented. 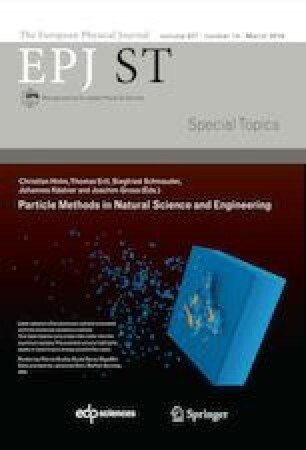 In this article, we highlight the changes and improvements made to the interface and code, as well as the new simulation techniques that enable a user of ESPResSo 4.0 to simulate physics that is at the forefront of soft matter research.